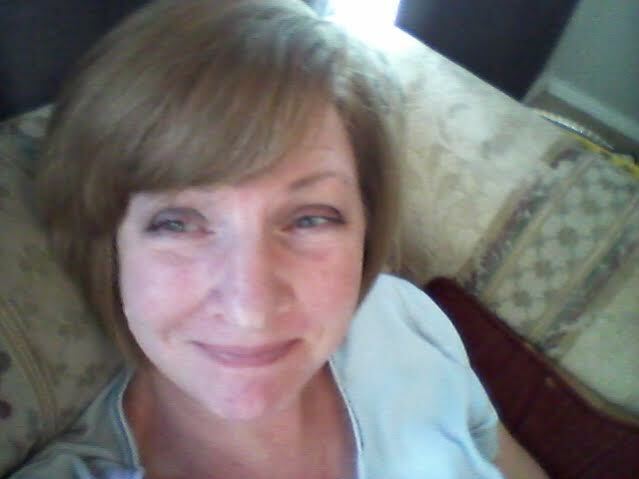 The first time I saw a true Southern mum, I grabbed my husband's arm and said, "What. Is. That?" This lithe teenage girl walked across the parking lot with a monstrosity of ribbons and jangling streamers and flowers and teddy bears exploding off her chest. I'd never seen anything like it and couldn't comprehend the purpose in torturing this poor young child. Dear Heart glanced over. "Oh, yeah. It's Homecoming Week." As if that explained everything. Now, a few states up north where I was raised, we did corsages, dainty little flowers with baby's breath that we went to great pains to make sure our dates matched to our dresses. The wrist corsage was in favor as it didn't take away from our dresses. 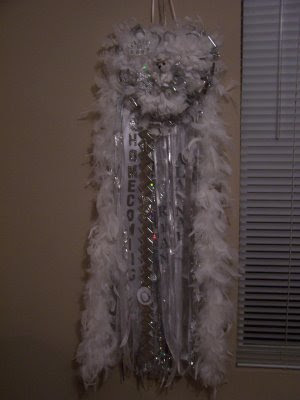 However, the phrase "Everything is bigger in Texas" takes on legendary proportions when it comes to Homecoming mums. If it doesn't cover your entire chest, make you need a back brace and is so heavy it is held up by ribbons worn like a necklace, then it just doesn't cut it. There are one mum mums, two mum mums and then the whopper three mum mums. And do not believe for one minute that they are not a status symbol. People will spend $500 or more to have an outstanding mum. The more ribbons stacked upon each other the better. Said ribbons are stylized with writing of sports and grade level and school and whatever. The teddy bears are dressed in sports or cheerleading or whatever uniforms. Boas, mediallions, cow bells, whistles, bubble blowers hang down with the ribbons. And don't think that boys are spared from these torture devices or the "your girlfriend doesn't love you so much" if their mums are not very big vibe. They wear mums strapped to their forearms with garters. Then the mums are worn all day at school, to the football game and then to the dance. Pity the students walking the halls with no mums or smaller $50 versions. Sheesh. As my Texan born and bred children (I'm the only non-Texan in our family) are sprouting into teenagehood, I've come to terms with the fact that like many parents here who aren't about to fork over hundreds of dollars for these superflucous flowers, I'm going to need to learn how to make them and the gawdier the better. Fortunately, the craft stores have everything on hand to create the busiest, heaviest mums that will make any teenagers chest look like it just threw up a stomachful of ribbons. 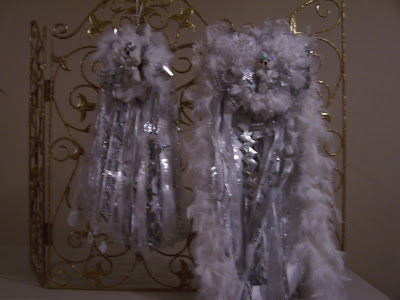 Here's my first mum creations, completely white and silver since that is the color signifying Seniors. We went for the gawdy three mum mum. I have to admit I enjoyed turning the little bear into Drill team bear with the little hat and boots. Everything else I just rolled my eyes at as A kept saying, "more, more, more ribbons, mom."